A very happy new year to all of our readers! 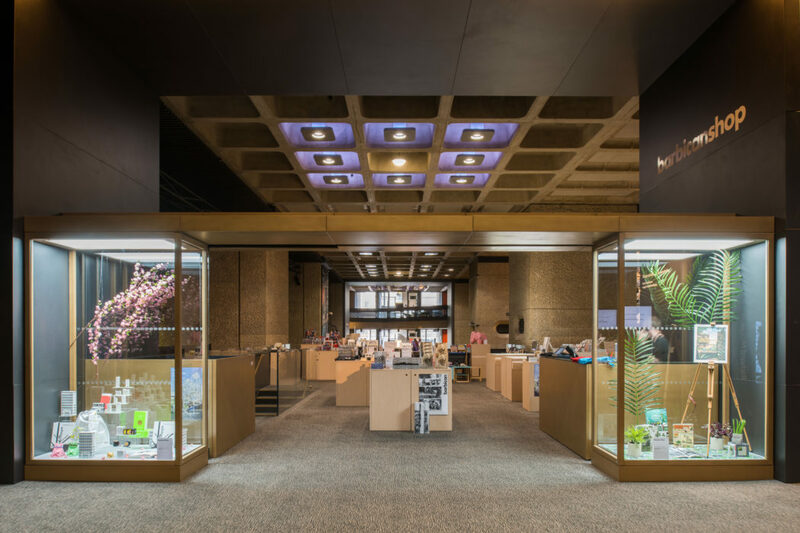 We’ll be continuing our tour around the fabulous bookshops of Britain in 2018, starting with the Barbican. Surrounded by London’s most iconic brutalist structures, the Barbican arts centre is one of the biggest in Europe, and hosts a multitude of cultural events all year round. We chatted to Emma, the Barbican shop manager, about what it’s like catering to such a broad audience, and what exciting plans they have in store for the future. 1. The Barbican is one of the biggest arts centres in the country. 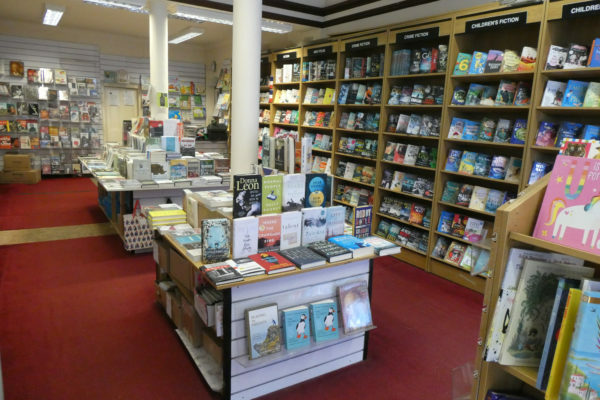 What are your aims and aspirations as a bookseller to such a broad, ever-changing audience? 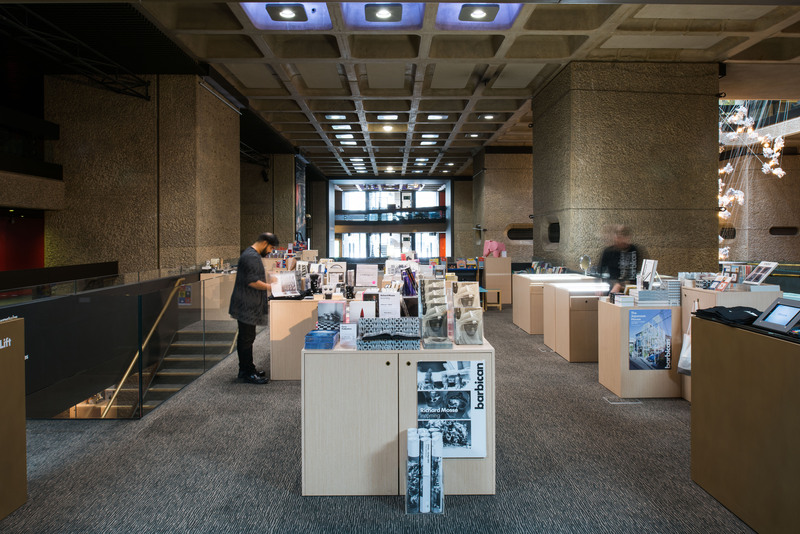 The Barbican’s audiences vary on a daily basis so it important that our shops and book range reflect the programme of events happening in the space. The Barbican Shop is divided into ‘Stories’ such as Theatre, Music and Architecture with related book titles cross-merchandised alongside shop product. We have one dedicated books fixture in the shop which primarily includes pick up titles relating to art and design. The Gallery Shop has focused book range relating to the current exhibition. This includes artist monographs and more general pick up or theory titles linked to the medium or themes on display. 2. The Barbican is known for its brutalist architecture – a style that has been both denounced and celebrated since its first appearance in the 1950s. 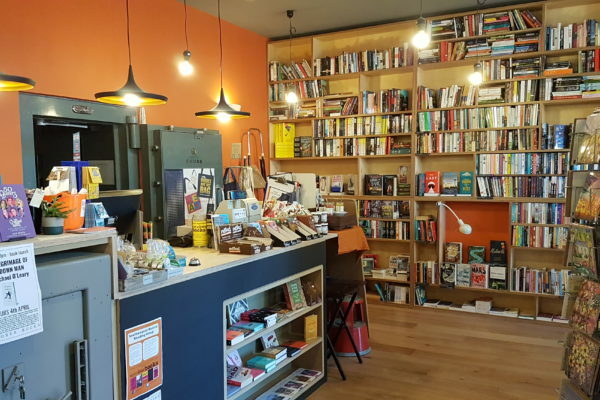 Is this genre an area of particular interest for visitors to the shop – and what might they come away with? Our unique architecture is the primary reason most visitors come to the Centre. Architecture publications and products across a range of price points sell particularly well for us in the Barbican Shop. Our best selling architecture products are our ‘Brutal’ range, designed in-house by our Marketing team. The range includes a tote bag, enamel pin and mug with a bold, monochrome text treatment at an affordable price point. Other best sellers include An Artful Life’s Concrete Letter Alphabet and our self-published Residents: Inside the Iconic Barbican Estate publication. 3. You have a range of designers who have handmade items for your shop via a Makers initiative. Tell us more about that. We started the Makers initiative when we relocated to the new Barbican Shop space in December 2016. Makers is an open call from emerging talent to have their work showcased in the space in a ‘pop-up’ space for a three month period. 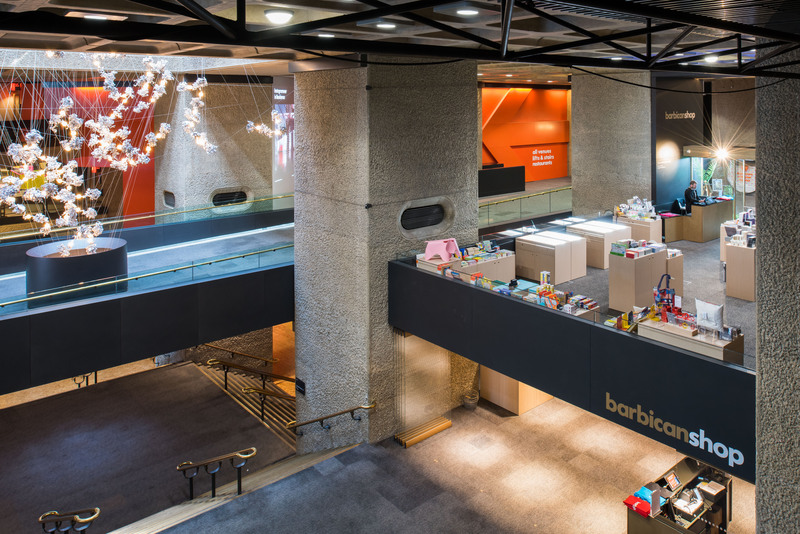 The Barbican works closely with the chosen Maker on their display and promoting their work through marketing, press and social media channels. So far Makers have included artist Anna Beam who makes unique colourful ceramics, textiles and prints and Kate Trouw, a jewellery maker who works with polymer clay. Potential applicants’ businesses should be under three years old and have a minimal existing retail presence. Designers and makers local to the Barbican – the City of London, Clerkenwell and East London – are particularly welcomed to apply. 4. The centre has a fabulous programme of events all year round, but is there a particularly busy time for the shop? As for most retailers Christmas in our busiest period both instore and online. Christmas 2017 was particularly busy as we had our Basquiat exhibition in the Art Gallery, one of our most successful Art Gallery shows to date. When we have a Theatre or Hall performance the pre, interval and post show periods can also be busy, especially if we have books for sale signed by the acts performing. 5. Do you have any exciting plans for the shop that you’d like to share here? As of March 2018 we are beginning a new Retail Events Programme. Through talks, workshops and events we will aim to showcase a varied approach to a subject or theme in our shop and events spaces here at the Centre. We will be hosting three seasons next year, the first being Make! in conjunction with Crafts Magazine. The season will include events such as a rug weaving demonstration, a bike building panel talk and craft themed architectural walking tours. 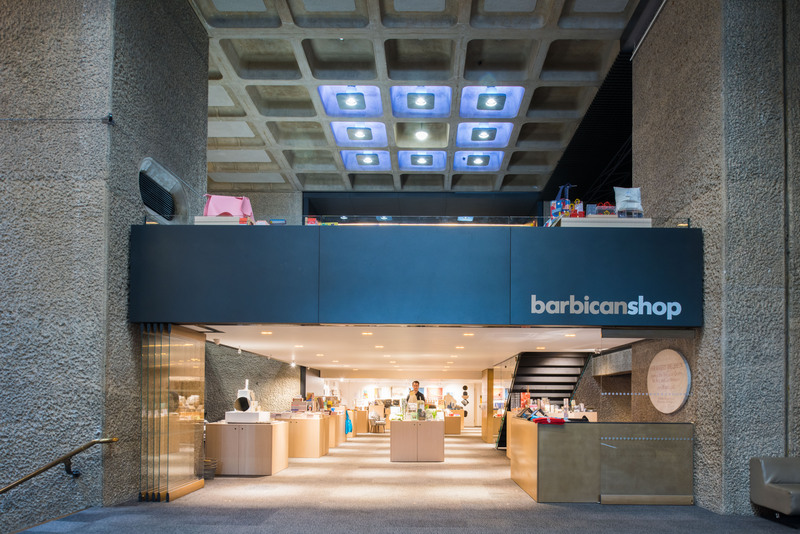 To find out more about the Barbican shop, visit their website, or follow the Barbican on Facebook or Twitter. Alternatively, pop in store!